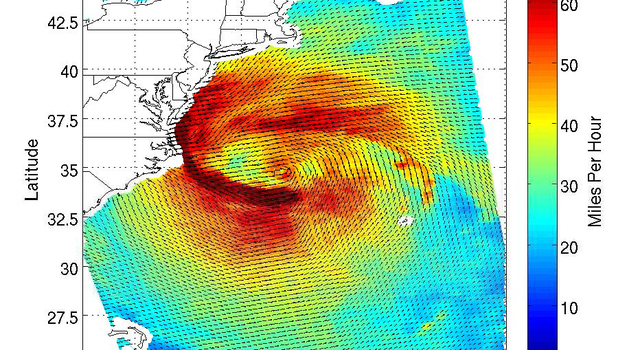 NASA's CloudSat spacecraft flew over Hurricane Sandy on Oct. 27 at 2:17 p.m. EDT, when the storm was southeast of Charleston, S.C., and had maximum sustained winds of 75 miles per hour (65 knots). 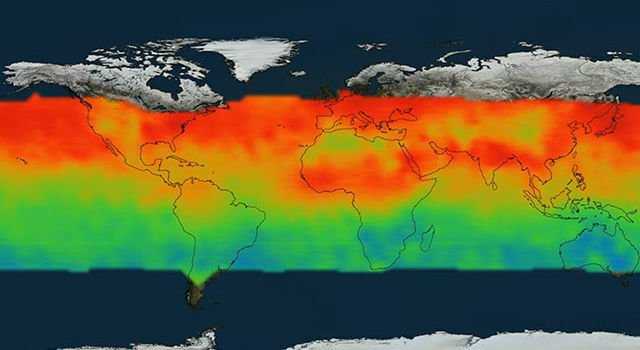 NASA's CloudSat spacecraft flew over Hurricane Sandy on Oct. 27 at 2:17 p.m. EDT, when the storm was southeast of Charleston, S.C., and had maximum sustained winds of 75 miles per hour (65 knots). The 3-D radar image shows the storm's vertical structure. The colors in the CloudSat image indicate the strength of the radar's returned signal, termed the reflectivity. Red and purple areas indicate the storms largest amounts of cloud water or precipitation.